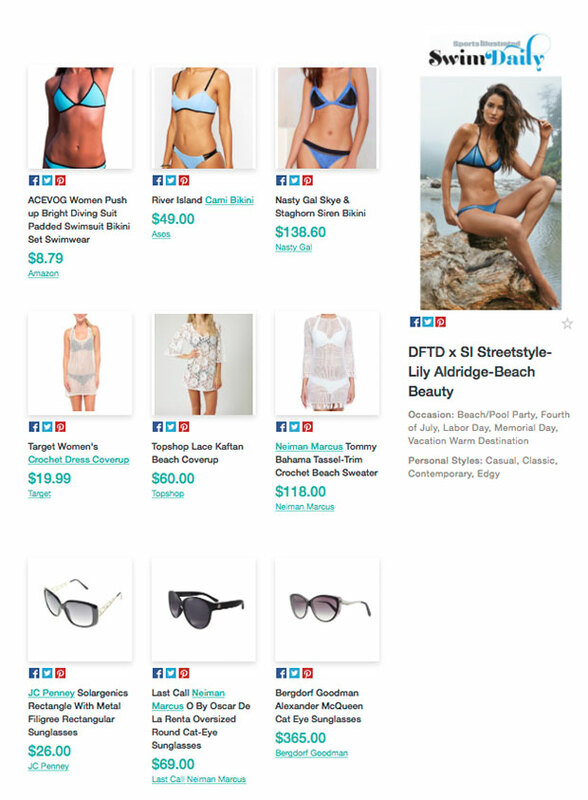 Plan your Memorial Day beach look with Lily Aldridge & Dress for the Day! In just four short days, the land of the free and home of the brave will be kicking off summer with the long-awaited Memorial Day holiday weekend. And how better to get ready for such a joyous occasion than with a little beach style inspiration from Lily Aldridge and Dress for the Day? Shot by Yu Tsai on the West Coast for the 2015 SI Swimsuit issue, Lily embodies the essence of American pride in a variety of blue swimsuits for one of our all-time favorite spreads. The Nashville-based model wears a figure-flattering suit by swimwear designer Dakine paired with simple gold jewelry for an effortlessly chic look as the story opener. Mix and match beach essentials for a fabulous Lily-inspired look with a little help from Dress for the Day. Click on the shopable photo below for a range of swimsuits, cover-ups, jewelry and more, to ensure you're celebrating Memorial Day in style!